Insight school captain Nathan Pickup (centre). Impaired (Berwick), gave a glimpse into the approach the centre takes with its students. 16-year-old Noah OBrien took on the responsibility of organising the zoo visit. 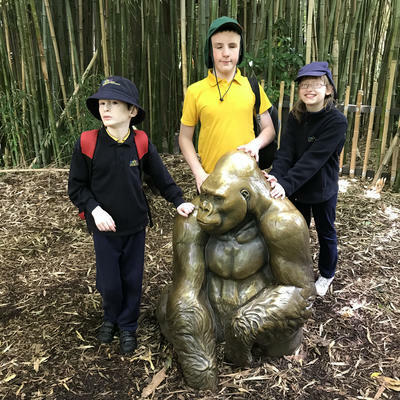 Noah is vision impaired, but with the help of magnifying technology, he was able to access the zoo website, maps, and animal feeding times to plan the end-of-year trip to the zoo on Monday, 3 December. “The school encourages us to be independent, so I was happy to research the zoo,’ Noah said. Accompanying the Insight students to the zoo was teacher, Ilodi Jacobs who said the school’s policy aims to “extend the students’ learning through a range of experiences to provide a rounded education which prepares them for the transition to mainstream schools”. 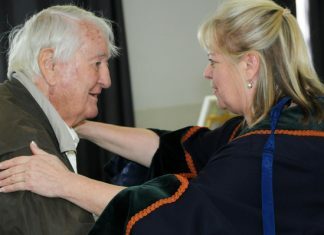 “We teach the Victorian curriculum which covers the core subjects, as well the Extended Core Curriculum (ECC),” she said. The ECC encompasses social interaction skills, compensatory skills, independent living skills, orientation and mobility, self-determination and advocacy, assistive technology skills, recreation and leisure, sensory efficiency skills, current education and transition skills. For Noah, who graduates from Insight this year, he’s excited about the future, especially in pursuing his interest in sci fi movies.